Raising money for your sports team can be a tall order! 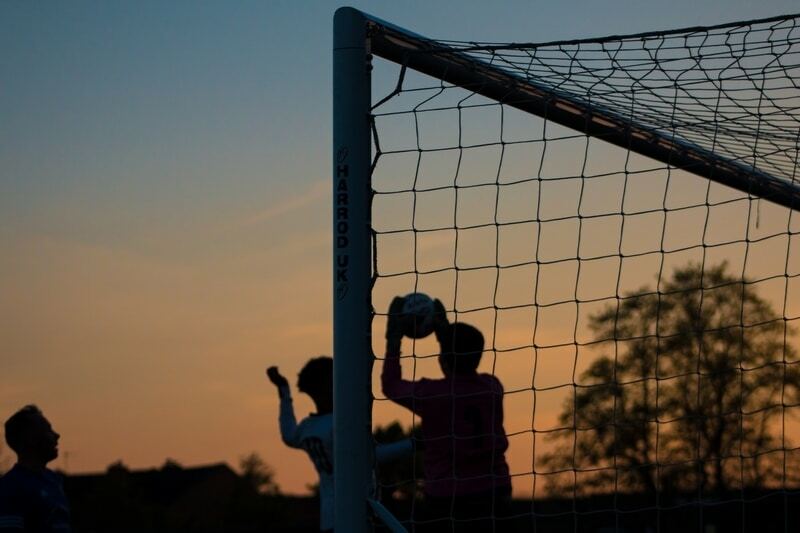 Paying for travel, equipment, and other miscellaneous expenses can quickly overshadow all the fun of the sport or athletic activity that brought your team together in the first place. Luckily, there are a lot of smart fundraising ideas out there. The challenge, though, is finding the right sports team fundraising idea. The key to boosting support for your team? Real-life community engagement. Your team’s friends, family, and spectators are of course the core of your community, but think larger! Increase your efforts to engage your whole extended network, school, or town. By thanking your wider community for their past support and offering fun experiences for everyone, you might be surprised at your own fundraising success! These team fundraising ideas made the top of our list for a few reasons. They make use of some powerful tools, and they’re engaging for your whole community of supporters. Plus, they’re flexible! Adaptable fundraising ideas like these can make a huge difference. Mix and match your fundraising strategies to hit all your targets! Designing uniforms and custom apparel for your sports team is a surefire way to raise some support! 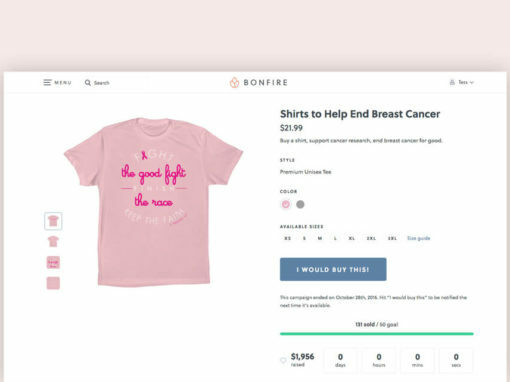 Best of all, creating custom shirts doubles as both an effective team fundraising idea and a smart way to deepen your team’s relationship with its community. This makes t-shirt fundraising an especially smart idea for a school or community intramural teams. Place a direct order of your shirts, then sell them at your games. Create an online campaign page for your fans to order their own shirts. Set up a fundraising page for fans to order shirts and make donations. Create the perfect design featuring your team’s colors and logo or mascot. Next, choose how your team would like to offer your shirts to supporters. Just be sure to avoid a few rookie mistakes if this is your first time designing and printing custom tees. Everyone loves a well-designed t-shirt, especially one to show off their favorite local sports team. Get your community excited and raise more support with custom tees! More tangible fundraising events and products tend to yield the best fundraising results for sports teams. Even though peer-to-peer fundraising is an online technique, it made our list because it’s one of the most flexible, customizable, and effective ways to reach your whole community. Peer-to-peer fundraising campaigns leverage the power of your extended network of supporters. Your team members and volunteers create their own fundraising pages and raise funds on the team’s behalf. This structure makes peer-to-peer fundraising extremely engaging! For instance, it’s easy to create timed fundraising challenges or post rankings of top-earning volunteers to keep everyone motivated. 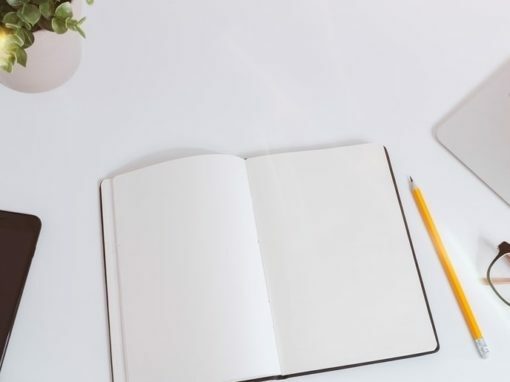 It can be difficult to learn the ropes of networked fundraising at first, but researching a few peer-to-peer fundraising best practices can go a long way. These campaigns are also perfect for promoting and hosting major fundraising events! For example, many charity 5K races are actually the grand finale events of a longer peer-to-peer fundraising campaign. Maybe your team could conduct a campaign leading up to your own 5K or fun run. Just be sure to design some limited edition race shirts to promote, too! Parents will love the chance to keep their kids busy and active. Your summer camp can be as simple or as extensive as you want. Your own facilities or a public park are cost-effective settings. Custom camp shirts are an additional source of support. Your teammates are ready-made volunteer coaches and wranglers. All types of local, intramural, and school sports teams rely on kids summer camps for annual support! High school athletes often coach younger students in yearly day camps, for instance. Plan well in advance to ensure you’ve got all your details covered. Think of some additional ways to get more of the community involved, too. Maybe you could host a neighborhood cookout party following your camp’s grand finale tournament! Check with local schools, parks, and recreation programs for more information on forming a partnership to develop and host your camp. Make sure to research any requirements you’ll need to meet, too. There’s a reason why shoe drive fundraisers are among the top school fundraising strategies out there. Kids are constantly outgrowing their shoes! Your team contacts a shoe drive facilitator to set up a campaign. You’ll work together to establish collection goals and a timeframe. They’ll then ship you collection bags and materials to promote your drive. Your team then starts collecting gently worn used and new shoes. Once you reach your goal, the facilitator picks up the shoes, and your team receives a check! These fundraising drives are great for school- and community-based groups, and not just because families will have plenty of used shoes. It’s also very easy to promote shoe collections at your other events! Post about your shoe drive fundraiser on your team’s social media page, then set up a collection bin at your next game. It’s that easy! Auctions are the powerhouse strategy of the fundraising world, but there’s a misconception that they’re only for major charities with wealthy donors. Your team can easily host its own fundraising auction night, making it as casual, fancy, or faux-fancy as you want! Auctions are above all an experience for your community, a fun night out to enjoy a nice meal, mingle with neighbors, and maybe purchase that perfect auction item. If an auction, silent auction, or raffle night sounds like a smart idea for your sports team, be sure to explore all your options. Reach out to other local teams, schools, organizations, or businesses that might be interested in partnering for the event. Then, start building your catalog of donated auction items (maybe even including some of your team’s own memorabilia)! Auctions are another top team fundraising event because they’re both engaging and flexible. Your supporters will have a blast at your event, and you’ll have plenty of opportunities to raise more funds for your team. Consider promoting your merch with swag bags or offering your custom team shirts for sale. Here are a few of our favorite classic fundraising ideas for community and school-based sports teams. You’re probably already familiar with most of these fundraising concepts, but we’ve added our own twists, too. Remember, creativity is the key to successful fundraising! Raise more for your team by making your classic fundraiser completely unique, keeping in mind your community and fundraising goals. Depending on your team’s sport or activity, this might be among the easiest team fundraising ideas out there! Chances are your whole team, or at least one member is well-practiced in one of these activities and would be willing to lead a course to raise funds! Partner with your local gym, park, or community center to reserve a space to hold your fitness classes. Then, decide if your class will be one-time or part of a multi-week course. Promote your classes to your network of support, making sure to post flyers and invitations wherever interested people might see them. Charge a registration fee, then get started sharing your fitness knowledge with the community! Community potlucks and picnics are another classic soccer team fundraising idea or baseball fundraiser. They work particularly well for school-based or intramural teams. Find the perfect place for your gathering, like a local park or your school’s campus (making sure to get permission), then start organizing. Potluck events can take a bit of planning, so start early. Create a sign-up document for all your teammates and other registered attendees to list what they’ll be bringing, and promote it to your whole network. A community-based food event like this is a perfect way to bring everyone together, but be sure to incorporate fundraising elements. Ask for a flat ticket fee, or incorporate competition or cook-off elements into the event for attendees to register for. Even simply gathering the family and friends of your team members for the picnic can provide a huge support boost for your team. Get creative to develop contests, themes, or games for your potluck picnic, too! This team fundraising idea requires a little more preparation, but the payoff will be worth the effort. This is not only because hosting a community field day is a great way to raise money but also because it gets your neighbors more active and interested in your team! Approach organizing your fundraising field day as a combination of a summer camp and a fitness class. Talk with a local park to reserve plenty of space, then gather or rent recreational equipment. Brainstorm various activities, classes, games, and events that you can incorporate into your field day. There are a number of strategies you might pursue. Maybe your team members can each lead a small team of participants during the day’s events, or maybe participants can sign up for mini-tournaments individually. The best part of a neighborhood or campus field day is that it’s incredibly easy to incorporate other team fundraising ideas. 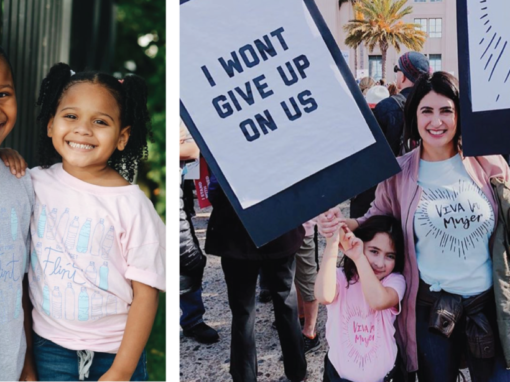 Your field day could be the wrap-up event for your peer-to-peer fundraising campaign, or you could sell limited edition field day shirts online leading up to the big day! Maybe you can host a special potluck or cook-off alongside the field day activities. Get creative to make the most of the day! Here’s another effective (and very simple) team fundraising idea! Reach out to a local food truck and strike a deal for a percentage fundraising partnership. Food trucks have gained massive popularity in recent years, with mobile kitchens serving customers at street fairs, farmers markets, and other public events everywhere. Offer your spectators some new refreshments to enjoy, and raise some funds in the process! These kinds of partnerships are a mainstay in the fundraising world because both sides benefit. Food trucks, for instance, would love the opportunity to find new loyal customers in your team’s regular crowd of spectators. Pizza, tacos, and burgers are all popular classics, but don’t be afraid to find a completely unique partner, too! If your team plays at a public park or school campus, be sure to check with the management of your game facilities before inviting a food truck. Creating and selling community discount cards or coupon books is a classic fundraising idea for all kinds of groups, schools, and sports teams! With the right combination of special deals, offers, or coupons, it’s easy to engage the whole community with your discount cards. This is what makes this strategy one of the most effective team fundraising ideas for student and adult groups alike. There are plenty of services out there that can develop and produce cards for your team to sell, but be sure to try your hand at creating your own first! Start by reaching out to local businesses and asking them to create a special offer for cardholders. Small businesses often love to get involved in these fundraisers since they can very quickly attract tons of new customers. A great discount card will sell itself, but take the time to promote it on your social media and at your games, too! Whether you’re part of a school team, community rec league, or another intramural team, your team will find a lot of success when you use one of our recommended fundraising ideas. The key to this sort of fundraising is community engagement! Make sure that any sports team fundraising ideas you explore or consider involve elements that will engage more people than just the family and friends of your teammates. This not only broadens the support you can pull from, it grows your team’s fanbase, too! 21 Effective Fundraising Ideas for Kids. Working with kids to fundraise presents its own unique set of challenges! Check out some of our favorite fundraising ideas. Best Peer-to-Peer Fundraising Tools from Double the Donation. If an engaging online campaign sounds right for your team, make sure you’ve got the best tools on your side! Create a T-Shirt Order Form Online. If you decide to create and order custom tees for your team and supporters, it’s crucial that you stay organized. Use our order form templates to get started.